A zip file compresses one or more files to reduce the file size by placing them in a zip folder. Zip files are useful for uploading, downloading and transferring large amounts of data. You may not want large amounts of data, especially if the data is private or personal, to be accessed by everyone. Thus, you must wonder how to password protect zip file on Windows computer. You can password-protect your zipped files in Windows XP, using Windows built-in password protection. However, only third-party applications exist for password protecting files in Windows Vista and later (Windows 8.1/8/7) since they don't have password protection of compressed files built into the operating system. Important: Before encrypting your zip files on Windows computer, try to know how to choose a secure yet easy-to-remember password. Part I: How to Password Protect Your Zip File on Windows XP? 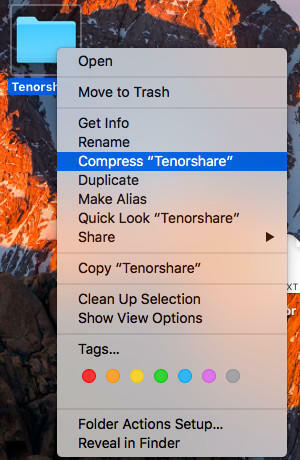 Step 1: Find the file you wish to compress or zip. 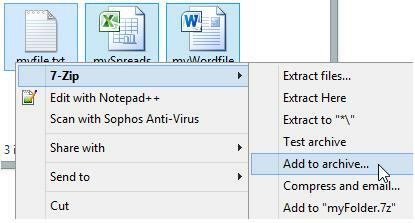 Step 2: Copy the file into a compressed folder with an identical file name. To do this, move the mouse over the file, right-click and choose "Send to". Then choose "Compressed(zipped) Folder". Step 3: Add any other file you wish to the compressed folder. 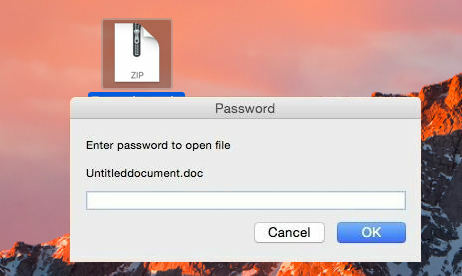 Step 4: Go to the "File" menu of the compressed folder and choose "Add a Password". Step 5: Enter and confirm a password. Part II: How to Password Protect Your Zip File on Windows 8.1/8/7/Vista? Since Windows Vista and later don't have built-in password protect for zip files, you need to use a third-party software, like free 7-Zip. How to password protect zip file using 7-Zip? Here we take Windows 7 zip file for example. Windows 8 and Vista can apply to the same steps on how to encrypt a zip file. First download the free compression software like 7-Zip. Step 1: Install 7-Zip from www.7-zip.org. Step 2: Right-click the folder you want to lock and select "7-Zip," then "Add to archive..." The "Add to Archive" window will open. Step 3: Choose "Zip" for the "Archive format" and select a compression level. Note: If you are sending the file to another person who may not have 7-Zip installed, change the "Archive format" option from the default "7z" to "zip". Step 4: Enter and re-enter your desired password in the "Encryption" box. Step 5: Click "OK" and wait for the files to compress. When you try to extract the files from your archive, or to open them from within, you'll be prompted to enter your password. Notice that you'd better remember the password firmly. Once if you forgot it and want to unlock password protected zip file, turn to Zip Password Recovery for help. 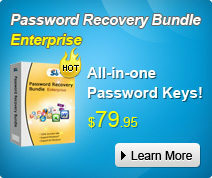 It helps you to crack ZIP or WinZIP passwords and let you open files in the archives.